Have you ever imagined being Peter Pan? Having the ability to fly throughout your forest home of Neverland and defy age by not growing old? Dashing through the air from treetop to treetop? Playing in an enchanted forest full of surprises around every corner? Well here is a happy thought: you may be able to fulfill this fantasy in Cave Junction, Oregon with no fairy dust required. Out’n’About Treehouse Treesort offers visitors a veritable treetop wonderland with tree houses, platforms, child-sized forts, swings and ziplines. Located on 36 acres adjacent to the Siskiyou National Forest, the treesort is a delightful place where you can forget about your worries and enjoy time spent relaxing amongst the trees. They also have a fresh water swimming pool, performance stages, a campfire site, barbecues and horses, all on the ground. For the more adventurous, the ziplines are the way to go. With over a mile of cable spread at different heights and lengths throughout the trees, the ziplines are an experience not to be missed. 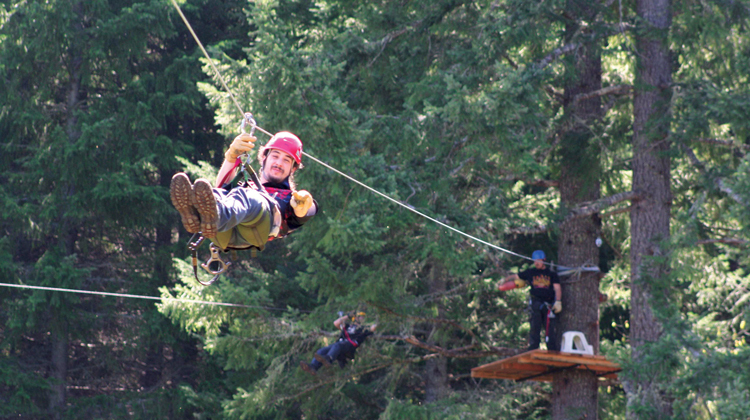 Under the watchful eye of experienced guides, participants are able to dash from tree to tree. Feel the exhilaration of flight as you travel from platform to platform at speeds up to 40 miles per hour, or try the outrageous Tarzan Swing! This is definitely an experience for the young at heart. Out’n’About is also home to The Treehouse Institute, devoted to providing basic engineering, design and construction methods for building treehouses. 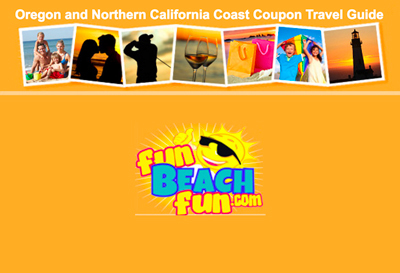 It is kind of like summer camp for the whole family, with courses designed to include everyone in the fun and enjoyment.